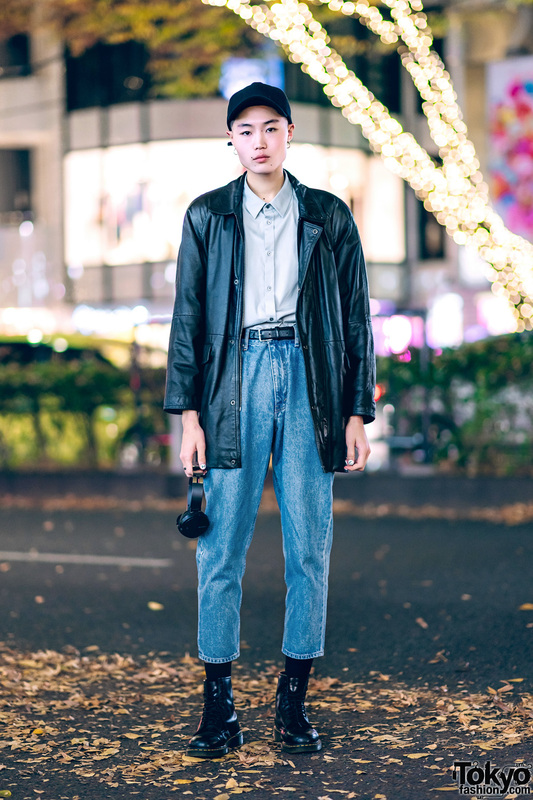 Harajuku girl wearing a purple plaid skirt, clear eyeglasses, and black sneakers. Harajuku student in monochromatic fashion with pink socks and blue sneakers. 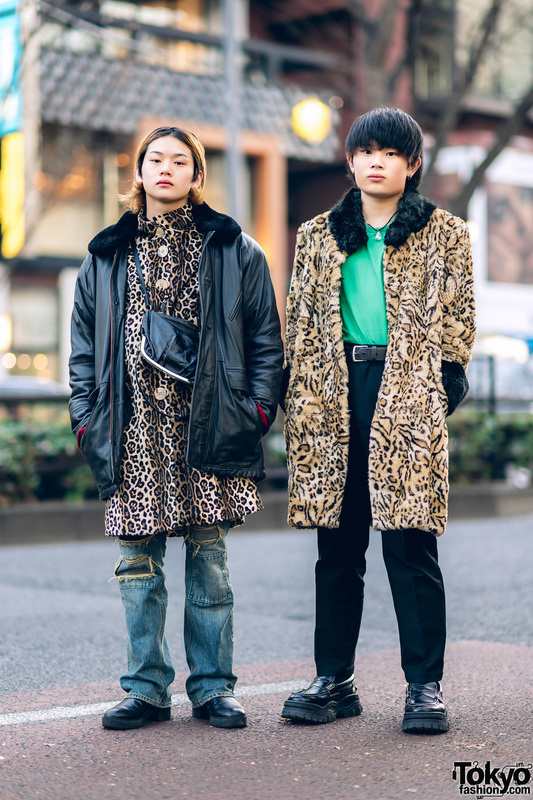 Japanese students wearing animal print outfits in Harajuku. 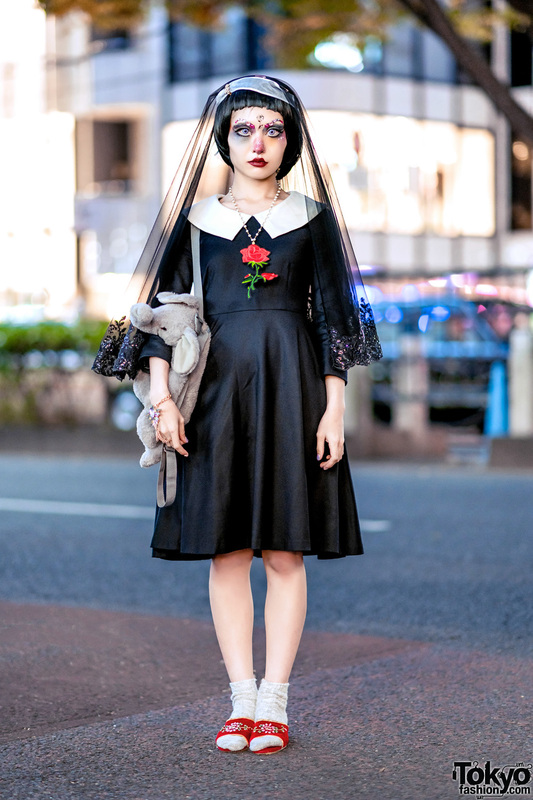 Cold Sleep fashion creator sporting a gothic street style with doll-like makeup and face jewels. 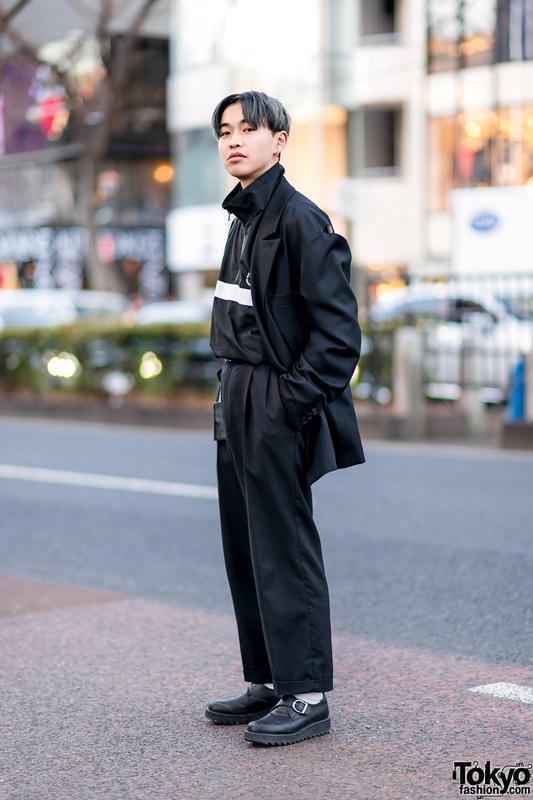 Japanese student wearing all black while out and about in Harajuku.